Kiss Me Kate, or “Noel”, is a 15 year old, 16.1 hand, pinto mare. She is a darling looking and a show stopper. Everyone has to know about her. She has a great way of going and carrying herself. Her lead changes are automatic. She is the ultimate low child/adult hunter but has also been shown at 3′ and in hunter derbies. 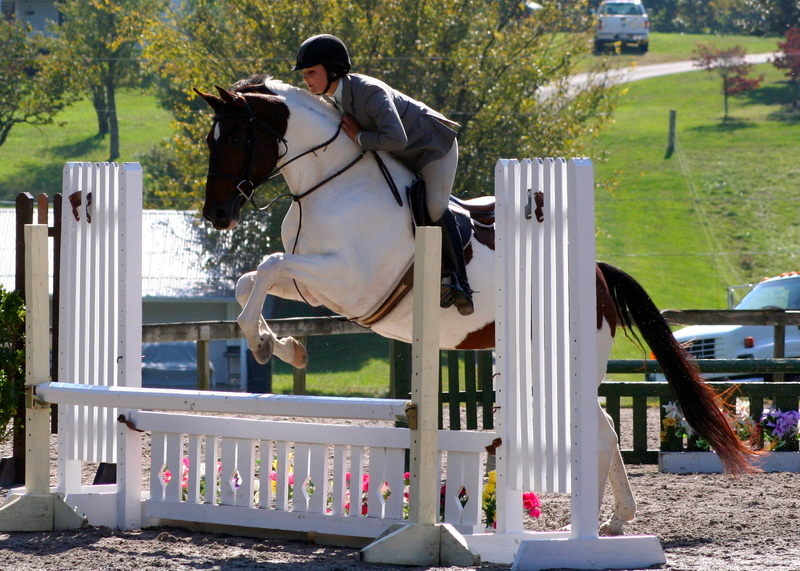 A perfect horse to learn on at home as well as to show competitively locally or at “A” shows. Show successfully in the fall of 2013 in the Children’s Hunter Division as a substitue for a ridder loosing her long term mount unexpectedly and sadly. 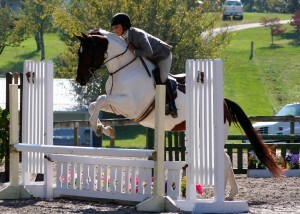 Noel was lovely and competed in the $2,500 Derby in addition to the Children’s Hunter. Currently Available. Kiss Me Kate (Noel) winning in the Schooling Hunter division at Walnut Grove in 2012.